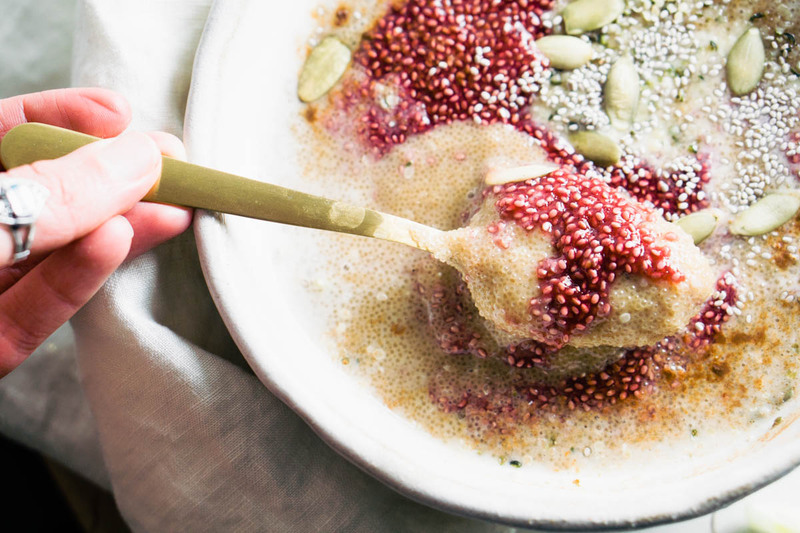 Cardamom & cinnamon amaranth porridge tastes like your childhood bowl of cinnamon toast crunch but even better with cardamon added to the picture. This porridge is the coziest breakfast you could possibly dream up & incredibly nourishing. 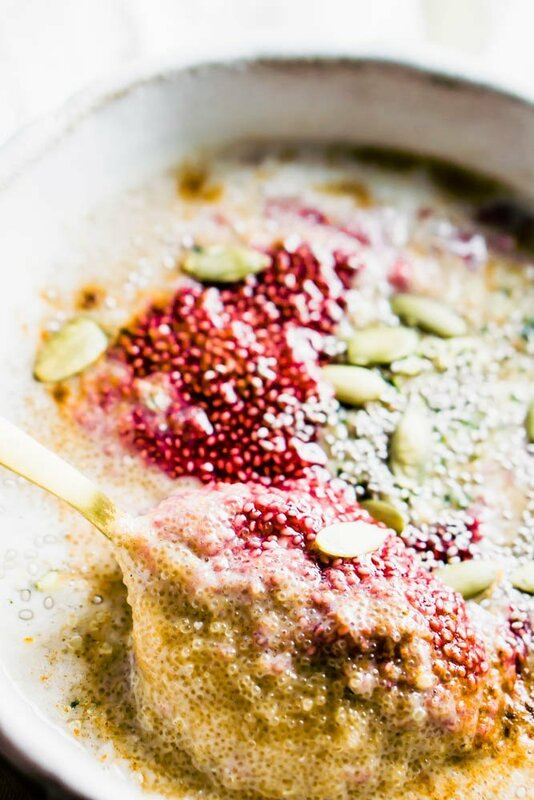 How did an amaranth porridge come about? 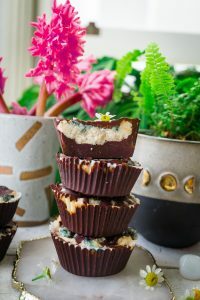 To be honest it was a happy mistake of testing cardamon cookies & muffins over and over the batter would taste wonderful. 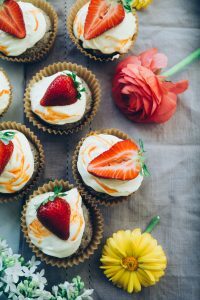 Unfortunately, it was hard to bake – don’t worry I’m not quitting the idea. I’m only surrendering in gratitude for what is here and now… delicious porridge. ​Cardamom is related to ginger and can be used in much the same way to counteract digestive problems. Use it to combat nausea, acidity, bloating, gas, heartburn, loss of appetite, constipation, and much more. This spice helps the body eliminate waste through the kidneys. In India, they chew cardamom after meals or whenever they need to freshen their breath. Part of the reason cardamom is such a good detoxifier is thanks to the diuretic properties. It helps clean out the urinary tract, bladder, and kidneys, removing waste, salt, excess water, toxins, and combating infections too. 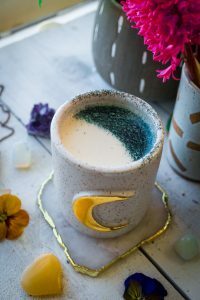 The science behind the antidepressant qualities of cardamom hasn’t been studied yet, but Ayurvedic medicine swears by the tea as a means to fight depression. Apart from helping with bad breath, cardamom is used for mouth ulcers and infections of the mouth and throat. This pungent spice may help prevent and relieve cold and flu symptoms. It’s also used for bronchitis and coughs. Animal studies are showing promise that cardamom protects against, inhibits growth, and even kills some cancers. Many of the vitamins, phytonutrients, and essential oils in cardamom act as antioxidants cleaning up free radicals and resisting cellular aging. The volatile essential oils in cardamom inhibit the growth of viruses, bacteria, fungus, and mold. Traditional medicine lists cardamom as a powerful aphrodisiac that can help with erectile dysfunction and impotence. For toppings I added cranberry powder with chia seed jam, pumpkin seeds, & white chia seeds – this is optional. I prefer to add more almond milk at the end to make the porridge more creamy. I highly recommend soaking your amaranth seeds overnight or for at least 8 hours. If you don’t have Raw Monk Sweetener – feel free to add your sweetener of choice. 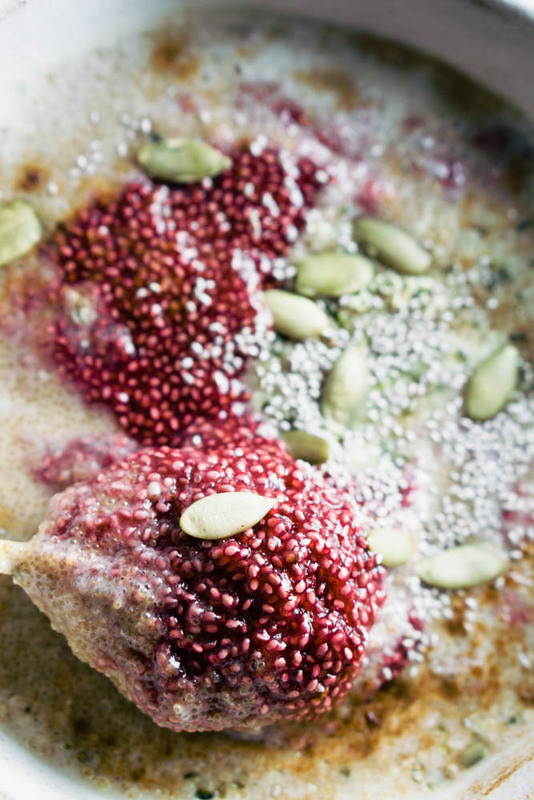 soak your amaranth seeds overnight or up to 8 hours – drain & rise before cooking. 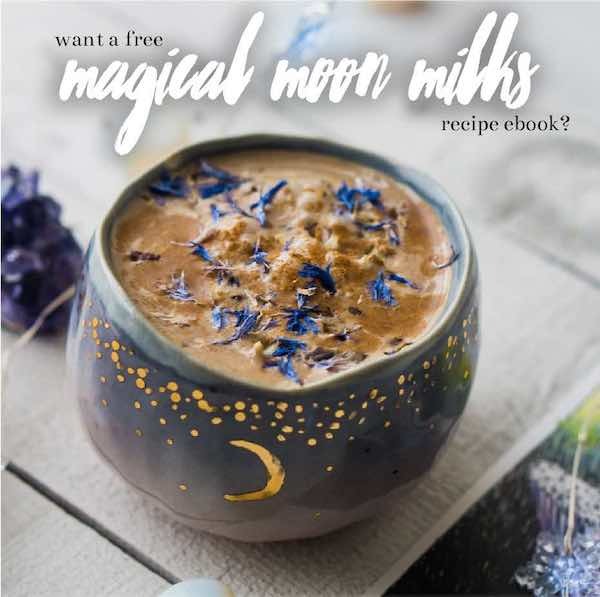 heat up the milk until it begins to boil – whisk in the amaranth seeds and adjust the heat to low. let your seeds cook for about 20-25 minutes than fold in the remaining ingredients. Feel free to top with fruit, sweetner, nuts or seeds. ENJOY!